From rugged cliffs to world-renowned beaches, Negril is a place to find both adventure and relaxation in one destination. Seven Mile Beach is frequently rated among the top ten beaches in the world for its soft white sands and crystal clear water. While you can simply recline and relax under the shade of a tropical palm tree, there are also plenty of opportunities to keep active at Negril's beaches, whether it's through thrilling water sports or an eye-opening snorkel or scuba diving adventure. If you really want to test your limits, head to West End Road and watch divers leap from the 40 foot-high cliffs at Rick`s Cafe. 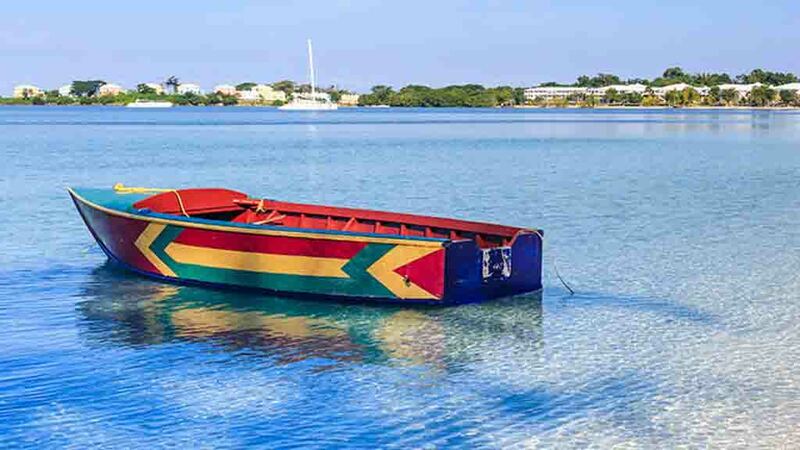 Boasting some of the finest sunsets on the island, once the sun does set, the activity doesn't stop in Negril, where a bustling music and nightlife scene offers visitors the opportunity to experience Jamaica's renowned reggae beats. Language notes: Hello! English is the official language in Jamiaca, but you`ll also hear locals speaking Patois. What to pack: Don’t know what to bring? Don’t worry. Click Here for a full checklist to print and refer to when packing for your all-inclusive vacation in Negril. What to buy: Open air craft markets feature beautiful handmade wares from local artists. Look for an authentic Jamaican wood carving or sculpture in cedar, mahogany or dogwood to decorate your home.